I recently read on Cracked.com, my source for most science, health, and entertainment news, that the novel Jaws brought about a severe endangering of world shark populations. Several idle thoughts that did me no credit passed through my brain. Among them: "No way, a book did that? "; "Yeah, like something's really going to endanger sharks"; and "#### sharks, anyway." OK, OK, I would like to apologize to all sharks, everywhere. In Shark, Dean Crawford shows that yes, many species of sharks are endangered, some critically. The endangering of the great white shark can largely be traced to Jaws, book and movie: in the wake of those cultural phenomena, people started to organize high-testosterone shark hunts that decimated populations of the big fish. And as to my ####-sharks reaction, well, it's not that simple. On an individual level, you may hate every encounter you have with a shark (not that you are ever likely to have any, unless you're lost at sea and start thrashing about while bleeding copiously; and even then, sharks are likely to spit you out as untasty). But on a global level, sharks are the "apex predators" of the ocean. Apex predators are not pleasant to be eaten by, but they are the keystones to natural habitats. The oceans, and all their myriad beneficial (or just plain "other") fauna, are self-regulated ecologically by having sharks around to control prey populations and sharpen the saw of natural selection. (And I do mean "saw.") Little as we like sharks, we are best advised to leave them alone to police the pelagic food chain. And if you think about it, shark attacks are incredibly easy to avoid. I have managed to spend a shark-free quarter of a century in North Central Texas, and some states (e.g. Kansas) are even further from sharks. If you really want to be safe from sharks, you can make it happen. Crawford invokes Saturday Night Live's 1970s Landshark skits as satiric sendups of shark hysteria. Sharks suffer on two counts. Nobody loves a man-eater (though one can be turned on by them, vicariously, which is part of the fun of the "landshark"). And nobody loves a cold-blooded creature. Sharks are sinister because of the water they breathe and the peculiar skin they wear. They embody contradictions: boneless vertebrates, mindless intelligences. Sharks, in a word, are "alien," and like imaginary Hollywood aliens, they inspire fascination and fear. But that doesn't mean we have to kill them. One of the atrocities documented in Shark is the practice of "finning" live sharks and tossing them whole to their deaths. The fins are collected for sharkfin soup, an unsustainable delicacy. China is the largest market for shark fins. 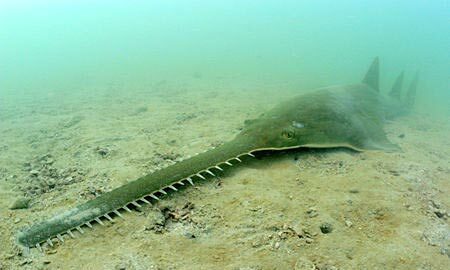 A pernicious byproduct of the burgeoning free market in China has been the unregulated trade in these fins. Proscribed as a bourgeois abomination during Maoist times, shark fins are now harvested without a thought to the next generation of sharks. And like all apex predators, sharks breed slowly and live long. Unfortunately, after hundreds of millions of years of evolution, a culinary craze may bring about the extinction of many shark species. Crawford, Dean. Shark. London: Reaktion, 2008.